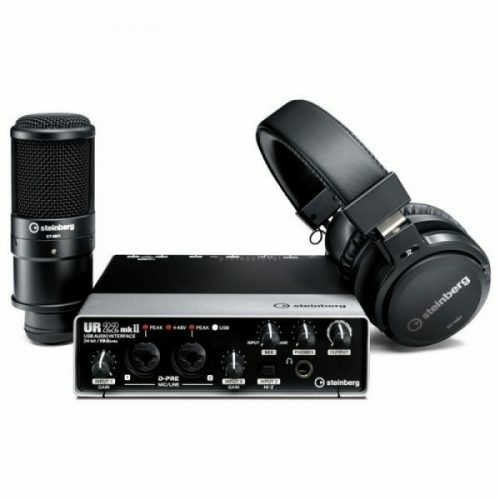 Преглед на количката „Steinberg UR22 MKII Recording Pack“ е добавен във вашата количка. Комплект за вокално домашно студио. Съдържа звукова карта микрофон и слушалки. 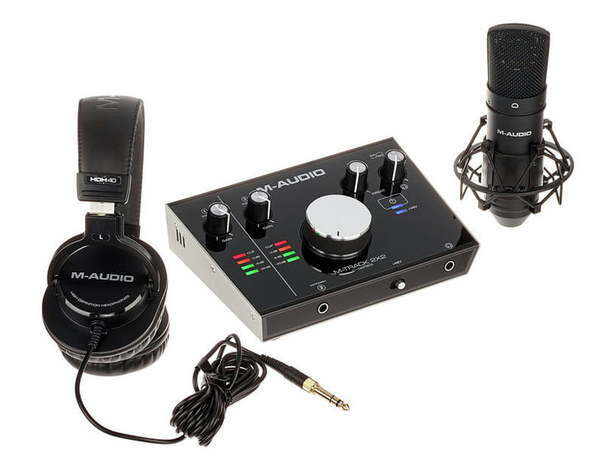 The M-Audio M-Track 2X2 Vocal Studio Pro puts nearly everything you need to record vocals at your fingertips, including an audio interface, a pair of headphones, a condenser microphone, and an included software bundle. All you need to provide is the corresponding computer, an XLR cable, and some vocal cords. The included M-Track interface gives you two inputs and two outputs. It connects over USB to your computer, from which it also draws its power. 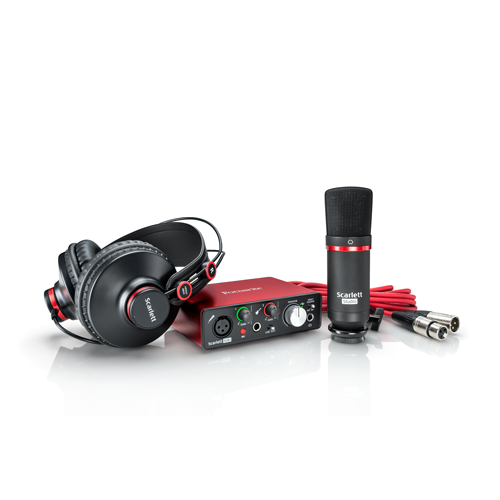 Through the M-Track’s low-noise preamps and A/D converters, you can capture studio-quality recordings. 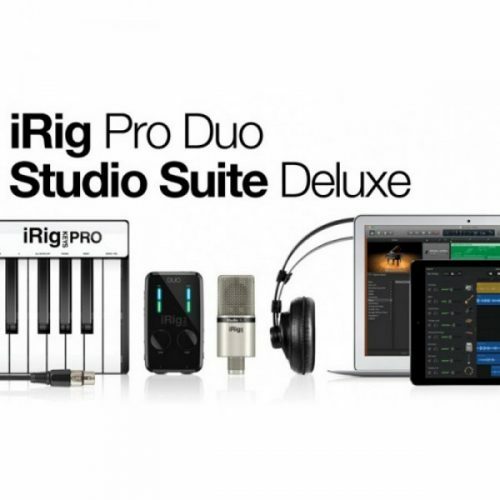 You’ll note an XLR/TRS microphone/line combo input, as well as a 1/4″ instrument input specifically designed for guitars or basses plugged directly into the interface. The M-Track connects to a Mac or Windows computer via a standard USB or USB Type-C port using one of the two included cables. 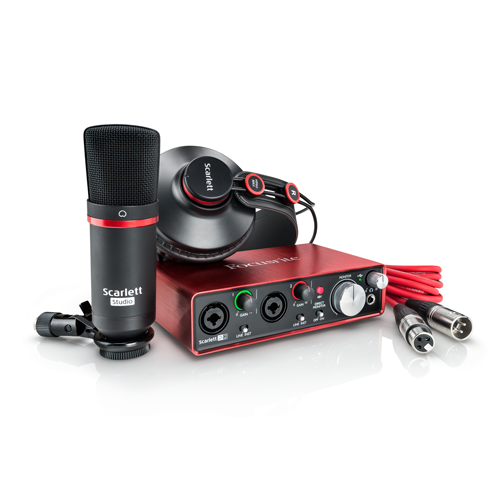 The Hi-Speed USB connection combined with the USB/Direct balance knob delivers zero-latency monitoring of the inputs, and an included software bundle provides everything needed for the solo artist to start recording. Also included with this package is the Nova Black microphone, a cardioid condenser mic with a wide and smooth frequency response. A pair of HDH40 headphones can be used to monitor vocals as your recording, or can be used to listen back to what you’ve recorded as you mix with the included software bundle.